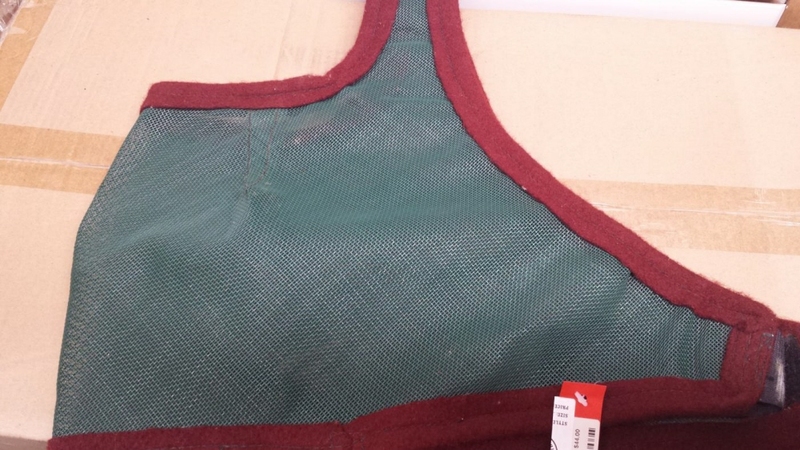 Green mesh with maroon felt edging. This is a quality NZ MADE green mesh fly mask with felt edging for your horses comfort. Velcro closure under the jaw. Roomy fit - covers the eyes and face but not the nose.